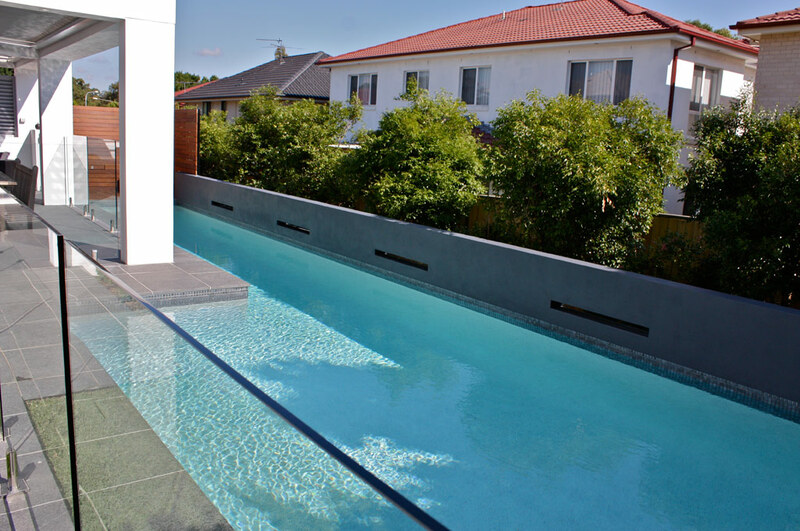 With a pre-existing alfresco area onsite, this beautiful lap pool was designed to fit seamlessly between the house and a garden retaining wall. 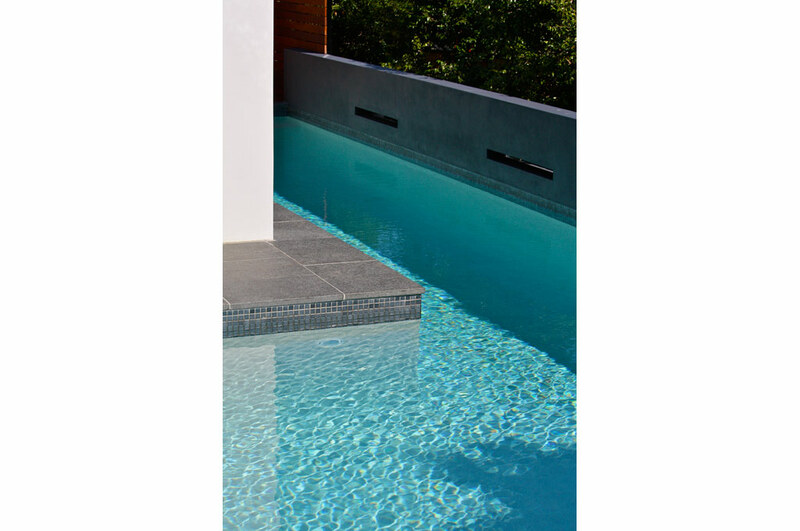 The narrow design and custom-matched coping create the illusion that the pool is positioned right on the edge of the alfresco area. 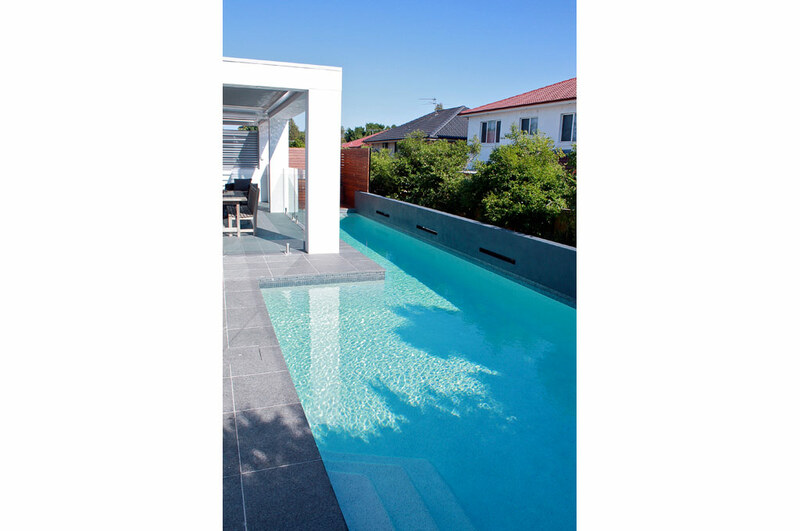 A contemporary style has been achieved with a rendered up-stand feature wall, black waterline tiles and Merbau timber decking with a sitting ledge. 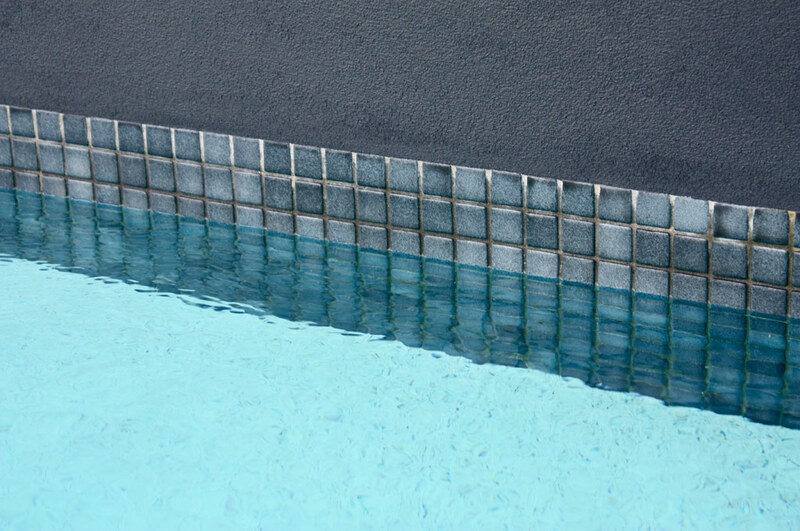 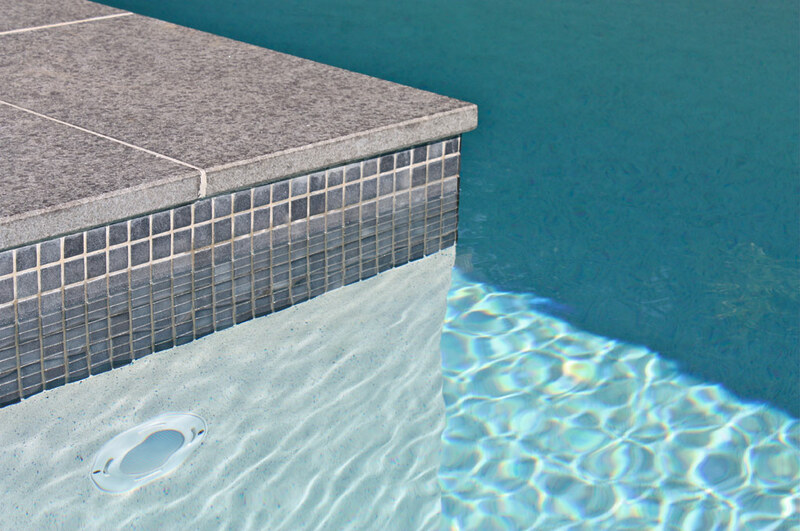 A vivid blue water colour results from the resort white pebble lining with blue glass flecking. 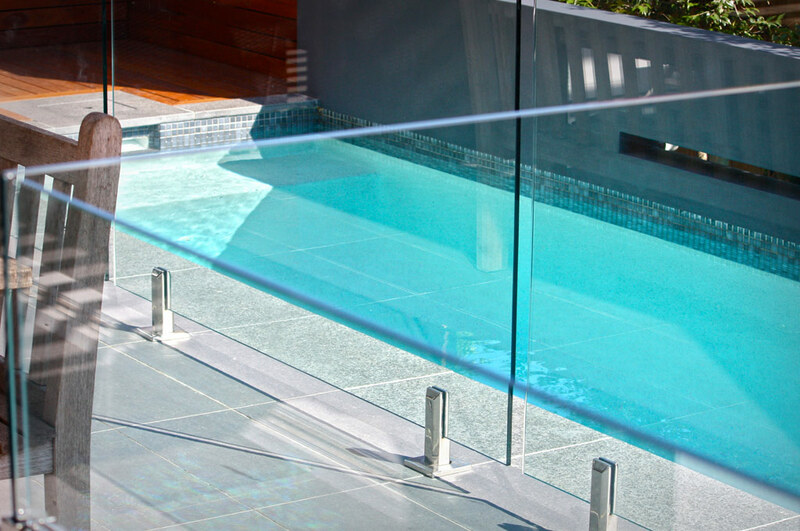 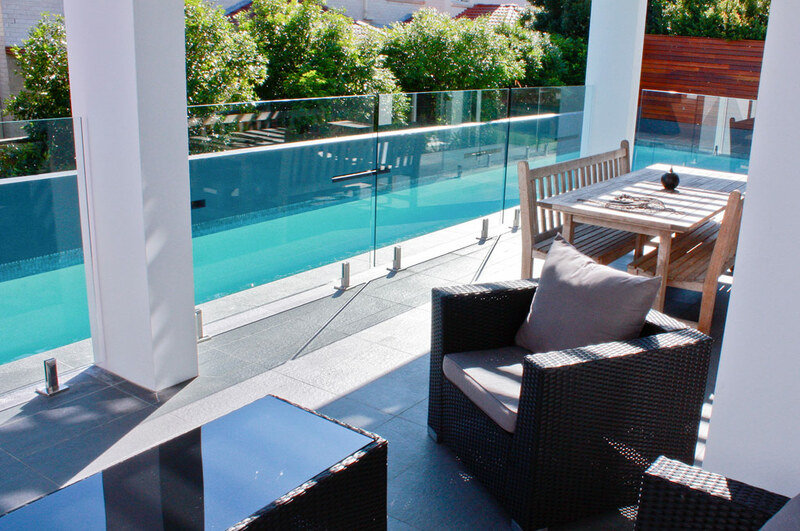 Frameless glass fencing enhances the overall polished, clean and modern look. 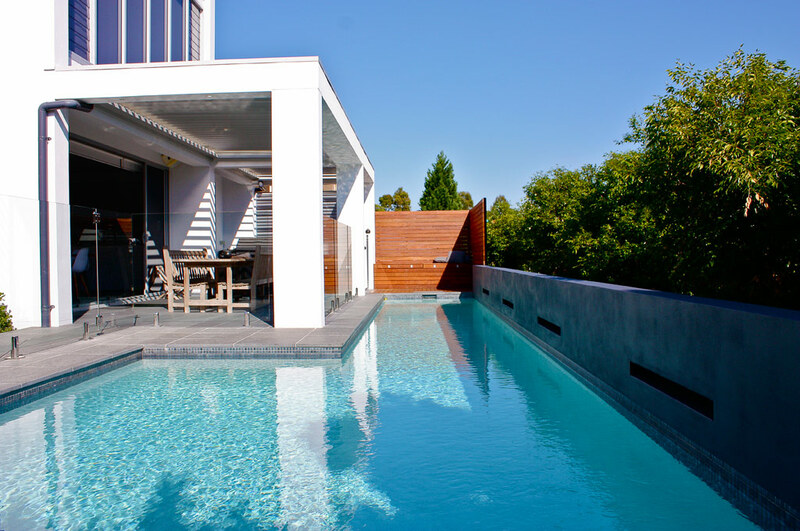 Child-friendly features include custom designed cut-outs in the wall for holding onto, and strategic garden lighting to illuminate the pool and surrounding area while entertaining.